Dorich House Museum launches its annual Studio Residency with artist Cathie Pilkington. 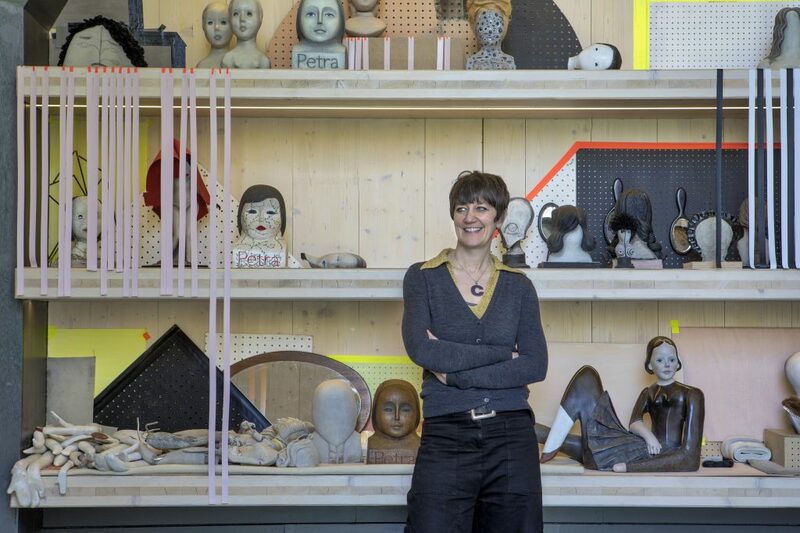 A figurative sculptor who constructs uncanny and ambivalent forms, from a wide variety of materials and cultural references, Pilkington’s assembled doll-like sculptures are often presented within immersive installations. During her residency, Pilkington will ‘occupy’ the whole of Dorich House Museum, simultaneously celebrating and trespassing into this uniquely designed private universe. Whilst utilising Dora Gordine’s specially designed north-facing studio to create new works, her interventions throughout the house will blur distinctions between public and private, work and domestic life. Cathie Pilkington studied BA Silversmithing at Edinburgh College of Art (1985-91) and completed her MA in Sculpture at the Royal College of Art in 1997. She was elected a Royal Academician in 2014 and became Professor of Sculpture at the Royal Academy Schools in 2016. Exhibitions include V&A Museum of Childhood (2012), Chapter Art Centre Cardiff (2015), Ditching Museum of Art & Craft, Brighton University Galleries and the Royal Academy Schools Life Room (2017).